This might not be the ancient Millennium Puzzle, but it sure is colorful and cool! 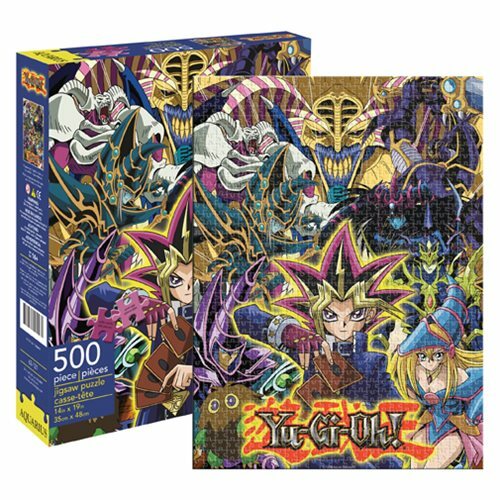 The Yu-Gi-Oh 500-Piece Puzzle measures 19-inches tall x 14-inches wide, with a central image of Yugi Mutou. Ages 14 and up.